The U.S. government announced Monday the end of a special protected status for about 200,000 Salvadoran immigrants, a move that threatens with deportation tens of thousands of well-established families with children born in the United States. 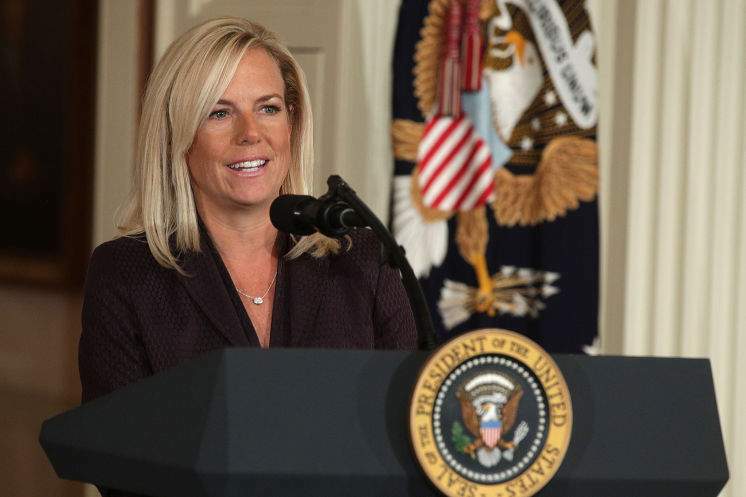 Department of Homeland Security (DHS) Secretary Kirstjen Nielsen announced the end of the “Temporary Protected Status for Salvadorans” (TPS) granted to Salvadorans already in the United States in 2001, when two major earthquakes rocked the Central American country. They were given 18 months to leave or be deported, which officials said is enough time for a legislative solution to be crafted by Congress to allow them to stay. “Only Congress can legislate a permanent solution addressing the lack of an enduring lawful immigration status of those currently protected by TPS who have lived and worked in the United States for many years,” said the DHS. The move came in the wake of the termination of similar TPS protections for 59,000 longtime resident Haitians and 5,300 Nicaraguans late last year, after having been allowed to set deep roots inside the United States for decades. The DHS said Ms. Nielsen made the decision after a review determined “that the original conditions caused by the 2001 earthquakes no longer exist” and so extending the 17-year-old TPS cannot be justified. But the decision also comes as part of a broader crackdown on illegal immigration by President Donald Trump. 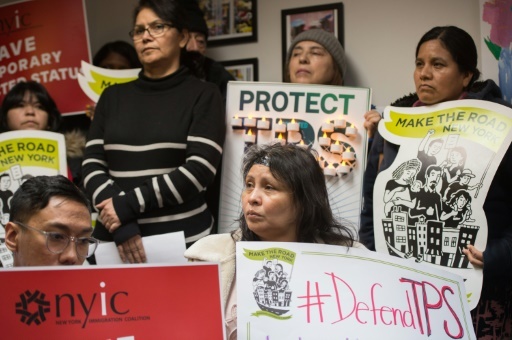 Many if not most of those in the TPS programs had originally entered the country illegally or overstayed visas, but the TPS had effectively allowed them to settle down without the constant fear of deportation. Previous governments rolled over TPS status with little debate, but Trump has pursued a tougher “law and order” approach to the issue. Without a change in the law, the move will force some 195,000 Salvadorans to leave the country by September 9, 2019. It impacts large communities of deeply-rooted people in California, Texas and around the U.S. capital, more than 135,000 households, according to the Center for Migration Studies. Nearly all have jobs, over a quarter own homes with a mortgage, 10 percent are self-employed and about 10 percent have married U.S. citizens. The decision will also impact nearly 193,000 children of Salvadorans born inside the United States — and who therefore have citizenship rights unlike their parents. “They are employed, support families, own homes and pay taxes. They are human beings pursuing the American Dream,” said John Boardman, Executive Secretary-Treasurer of the Washington D.C. area local of the UNITE HERE union, which counts many Salvadoran hotel and restaurant workers as its members. “If that is not enough, then understand that they are an integral part of our economy and the failure to recognize that comes with dire consequences for industries like hospitality,” Mr. Boardman said. Democrats in Congress condemned the decision, many noting that the high level of insecurity in El Salvador, where criminal gangs run rampant, puts the lives of returnees in danger. “Today’s decision is a poignant reminder that we have an anti-immigrant president who turns his back on hardworking families and insists on governing by fear and intimidation,” said Nevada Senator Catherine Cortez Masto. “Revoking TPS for Salvadorans will not only tear families apart, deportation could expose thousands of them to potentially dangerous and life-threatening situations,” Ms. Cortez Masto said. Immigrant advocates and many lawmakers held out hopes for a deal with the White House that would allow the Salvadorans to stay, and a senior official, speaking to journalists Monday, suggested that the administration would be amenable to action by Congress.